Sometimes art is hidden away, off the beaten path. 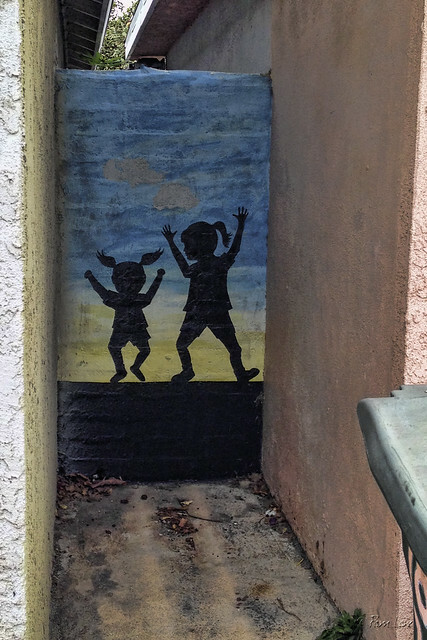 This image of two exuberant children is hidden between two garage walls, and further hidden by trash cans waiting for trash pickup. But when I stumble across it on a morning walk, it makes me smile.